I don't often post baking recipes. Actually, I don't really bake that often. But when the kind people from NuNaturals contacted me about trying out two new flavors (orange and lemon), I knew I needed to get into the kitchen. The basis for this recipe came from Kristina at SpaBettie. You should check out her variety of iterations of this recipe too. But, the base? 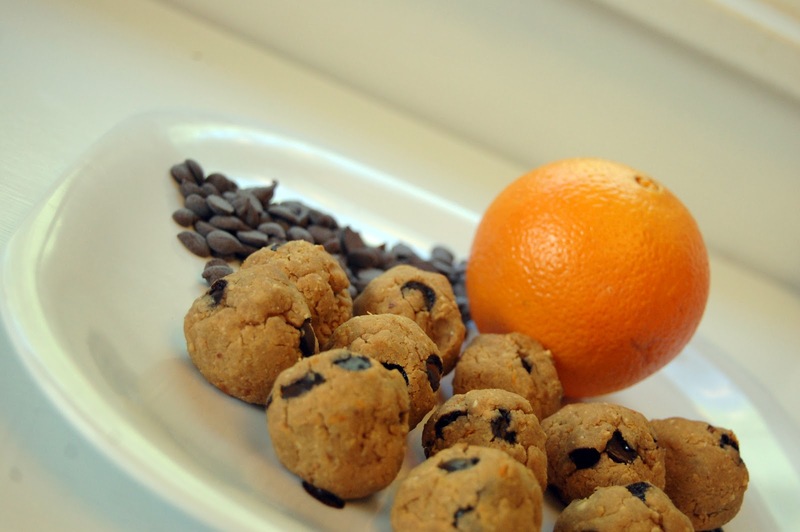 It's a quick, easy, vegan and gluten-free cookie base. When I thought of the orange flavoring, I thought about Ghiradelli Dark & Orange squares. I am not really a chocolate person, but will admit those are pretty darn good. 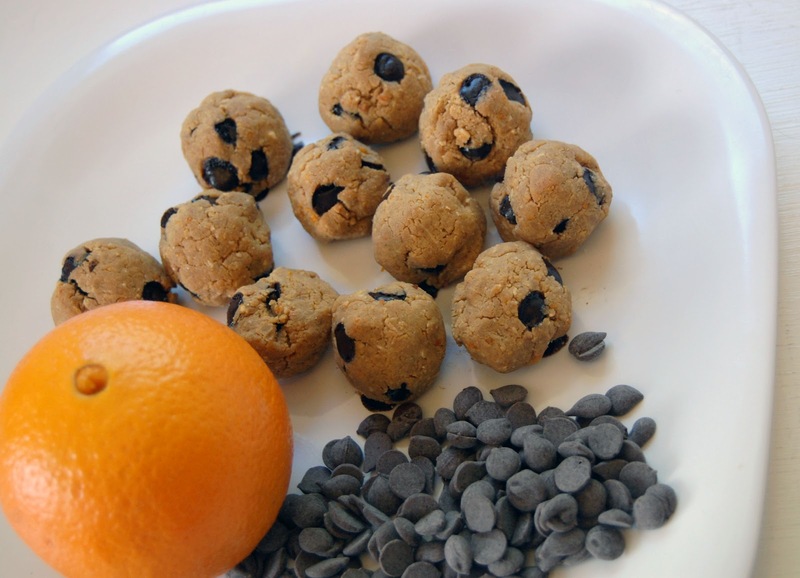 Using a food processor, blend together chickpeas, peanut butter, stevia, cinnamon, orange zest, and orange juice until it starts to form a ball. Add in the rice flour and continue to blend until well-incorporated. Transfer to mixing bowl and stir in the carob or chocolate chips. Form into balls and place on a prepared baking sheet. Bake approximately 20 minutes. These turned out far better than I even imagined. They aren't overly sweet and the orange is just a nice subtle, fragrant touch. I know I've mentioned it a few times, but I am a huge fan of NuNaturals Stevia. I think it's one of the best tasting stevias you can find. I might be a bit addicted to the liquid vanilla actually. The wonderful people at NuNaturals contacted me about doing a giveaway for my blog readers. Of course I said yes to that one. Even better is that I get to choose 4 winners! Winners will receive 1 bottle each of the Orange and Lemon Liquid Stevia Flavors. Contest is open April 28, 2012 through midnight May 3. I will announce the winners on May 4. Only open to Continental U.S. Residents. Leave a separate comment for each of the following entries. Tweet about the giveaway and include my twitter handle (@hriacobacci) and link to this post. As a bonus, if you order through NuNaturals website, you can use this discount code to receive 15% off your order through June 30, 2012: BLG0612. Just enter BLG0612 at the checkout page. Also, you get free shipping in the Continental U.S. on all orders totaling $35.